Efficiency means doing things at the right time, automating what you can, and going through them in one go. If you’re effective, you’re doing something right. That’s why you should use email filters 3 Tips To Deal With Email Overload In Gmail [Show & Tell] 3 Tips To Deal With Email Overload In Gmail [Show & Tell] Most of us suffer from information overload. Being overwhelmed with private emails may not be a big issue and ignoring half the emails is actually acceptable to a certain degree. In a professional life however,... Read More and schedule email time 7 Email Efficiency Tips To Get More Email Done, Faster 7 Email Efficiency Tips To Get More Email Done, Faster Life revolves around communication and literally nothing gets accomplished without it. Email is a communication tool meant to make your life easier. Instead of having to type up a letter or try to catch someone... Read More . 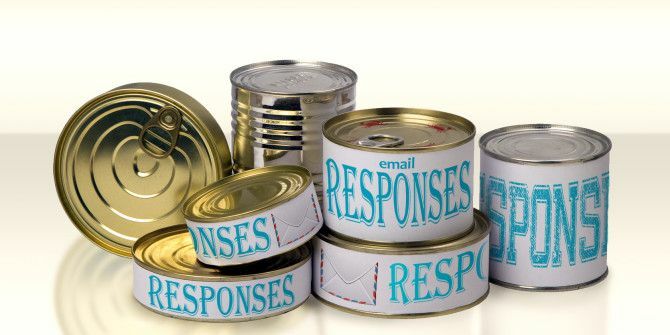 One trick is to prepare canned responses Email Faster & Better With Canned Responses Email Faster & Better With Canned Responses Don’t have time to cook lunch? No problem, grab a can. Need some camping chow that won’t go bad? Easy, get some canned food. Tired of typing the same email replies? Try canned emails! Think... Read More for emails you frequently write. Here is a list for your inspiration. Merry Christmas, Happy New Year, Happy Easter, and wishing you a Happy Birthday, too. When it’s time to send out annual greetings 9 Geeky Greeting Cards You Should Be Sending Out! 9 Geeky Greeting Cards You Should Be Sending Out! It's not too late to send out these greeting cards and chuck those boring ones away. Read More , you probably repeat the same verbiage over and over again, like a broken record. Don’t you admire people who can pen those lines without sounding like everyone else? Original greetings are more memorable and meaningful as a writer puts some thought into their preparation. What has this got to do with canned responses? Well, not everyone is creative all the time, but almost everything is copied anyway. Set aside some time to collect greetings you like, maybe write some yourself, and copy them into the respective email template. Whenever you notice an original greeting by someone else, add it to your growing list and note who inspired it. Note that email templates aren’t limited to text alone. You can also collect GIFs or links for special occasions. When it’s time to send out greetings to your loved ones, you can dive into your collection for ideas. When you’re feeling creative, build on what’s there or add something new. When you’re pressed for time, copy and paste a nice greeting from the list and move on. Most email programs allow you to set up individual signatures You Too Can Benefit From The Power Of Email Signatures You Too Can Benefit From The Power Of Email Signatures A signature tells you something about a personality. Just as two people hardly write alike, they also sign differently. That's how the "science" of Graphology came into being. But the digital age and the email... Read More for different “send from” email addresses. But what if you are wearing many hats and use only one email address? 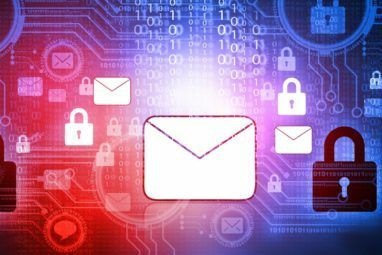 Try using canned responses to switch back and forth between multiple email signatures Manage Multiple Signatures In Gmail Without Browser Plugins Manage Multiple Signatures In Gmail Without Browser Plugins Read More . Your contacts will never get bored with your signature if you cycle through a set of all purpose messages or your favorite quotes. 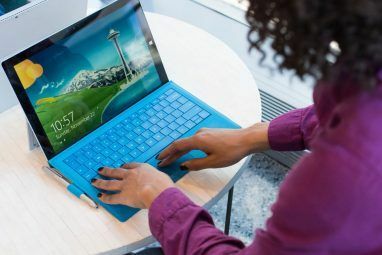 That’s if you don’t want to rely on third party signature tools that customize your signature with quotes Customize Email Signature with Random Quotes [Windows] Customize Email Signature with Random Quotes [Windows] Read More . 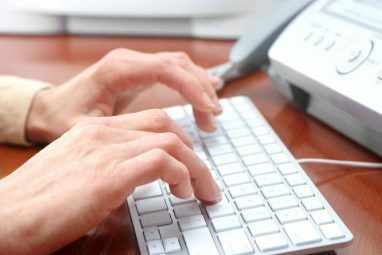 Just make sure your email signature leaves the right impression How To Ensure Your Email Signature Doesn't Give The Wrong Impression How To Ensure Your Email Signature Doesn't Give The Wrong Impression An email signature is your wave of goodbye. It's how you make an impression. Or not. Here are a few tips on what you can do with your own email signature. Read More . If you often find yourself explaining the same things or sharing the same information, you should set up templates and store them as canned responses. For example, if you sell things online and often get the same questions, you can set up a FAQ and update it with answers to new questions as you go. Although in the long term, it’s smarter to set up a web-based FAQ page and add the URL to your canned response instead. You can perfect your templates over time and customize them for each use to make them sound more personal. Even cooler than a template sent out manually, is one that goes out automatically. We have shown you how to set up auto responses in Thunderbird How to Set Up Mozilla Thunderbird for Auto-Responses & Scheduled Emails How to Set Up Mozilla Thunderbird for Auto-Responses & Scheduled Emails If email feels overwhelming, it may be time to set up auto-responses and scheduled emails. Here's how to do this in Mozilla Thunderbird, the cross-platform, free, and open source desktop email client. Read More and how to create automatic email responses with Gmail filters Use Email Alias and Forwarding in Gmail To Better Manage Your Life Use Email Alias and Forwarding in Gmail To Better Manage Your Life By this point, most people know about the nifty tricks you can use in your Gmail address called aliases, that allow you to give people different email addresses that all arrive at the same inbox.... Read More . And you should find this feature in most other email programs. One neat trick is to trigger the auto-response based on the alias an email is sent to Use Email Alias and Forwarding in Gmail To Better Manage Your Life Use Email Alias and Forwarding in Gmail To Better Manage Your Life By this point, most people know about the nifty tricks you can use in your Gmail address called aliases, that allow you to give people different email addresses that all arrive at the same inbox.... Read More . You could use this to store and access information; you could even share a current grocery list with your partner. Do You Find Canned Responses Objectionable? Don’t feel bad for using canned responses and don’t rap someone if they do . It’s a way to make the most of your time. Life has nicer things to offer than writing emails. Invest some time during a slow day. Scan your sent folder for repetitive content. Prepare your canned responses, and set them up when you come across new content. When you use a canned response, remember to give it a personal touch. After all, you do care about the human on the other side of the screen, don’t you? It'd be neat if there was some sort of program or Outlook plugin that gave you, say, a series of buttons at the bottom or side of the screen. Each one would be linked to a canned response. Then when you got an e-mail deserving of the canned response, you click the appropriate button and off it goes. I know it can be done manually, using drafts, but I think my system would be much easier and quicker. I wonder if such a thing exists. Here I come, Google. Is there a program or something that makes it simple to draft canned responses and send them? This could be very helpful in a support role where you get the same questions over and over. Not sure I understand what you mean, Guy. You take an email you already wrote -- the kind you keep writing over and over -- remove what isn't standard and turn it into something neutral, then save it as a "template" or a canned response. In Gmail this is super simple, no extra program required. When you compose an email, you can load the canned response and personalize it. You can also load it, change it, and overwrite the previously saved canned response. The question: how many canned emails have you sent me? I appreciate your comment, Justin.